Greetings team! Welcome to my fortnightly book review, which judging by the line-up for next time is going to be reviews plural. As you might have guessed from our What are we reading? series, literary Sluttery is high on our list of priorities at DSHQ, so the aim of this column - much in common with pretty much all book columns, actually - is to find you excellent titles to line your shelves/bedside table/floor. So many amazing books out at the moment and so many to catch up on, which is exactly what has happened here. 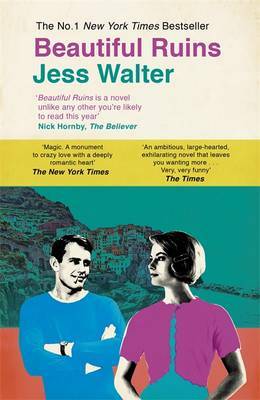 We kick off in 1962 where the young, relatively innocent Pasquale has left university in Florence to come and run the family hotel on Porto Vergogna, a blemish-like locale near Italy's ravishing Cinque Terre whose name means "shame". Pasquale's rather optimistic dreams of carving a beach and a tennis court out of the rocks are paused by the arrival of Dee Moray, an extra in Cleopatra who believes she is dying of stomach cancer and has been dispatched here by the film's publicist, Michael Deane. Alongside this, we have modern day Hollywood, where Claire, a bright development assistant to Michael Deane, now a Hollywood legend now coasting along making dreadful reality television, is contemplating running a film museum for Scientologists. When Pasquale arrives to try and find Dee Moray, a caper of glorious proportions ensues, with a supporting cast including a deluded writer, assorted drunks, Richard Burton's illegitimate son, and the Edinburgh Fringe Festival which is practically a character in itself. Walter writes beautifully - there is a rather enormous preview on Amazon - but the story didn't click for me at all. I enjoyed reading it much as you appreciate any sort of skill, but every time I put it down, I could quite happily have left it there. It felt a bit like watching a really accomplished tap dancer - completely proficient, lots to admire, but stylishly brittle. And while I am a big fan of people who can do wonderful things with words, I need the characters to grab at my shoulders and go "OH FOR HEAVEN'S SAKE, LOVE ME" even if they're dreadful, and I really didn't feel that at all. I've extolled the virtues of this utterly wonderful book here before, but re-read this with purpose as my incredibly sporadic book club is discussing it this week. Green is a master of combining the perfect phrase with snark, emotion and character, and never more so than in this book, which is being filmed as we speak. Hazel is a 16-year-old girl with terminal cancer, whose course of 'miracle' drugs means her life has stretched out more than expected. Having passed her high school equivalent, she now spends her time attending college courses, and watching ANTM marathons with her mum. Good choice. Her well-meaning parents encourage her to attend a youth cancer support group - Hazel/Green does a magnificent job of tearing this down - where she meets Gus, who is in remission from bone cancer and so begins one of the most lovely, credible teenage friendship-romances in modern fiction. Some of the best books I've read in the last years have been YA (My Sister Lives on the Mantelpiece, Wonder for starters) for the simple reasons of imaginative subjects handled incredibly sensitively but, as I said last time round, without feeling like they're being "handled" at all. If you read one book this week, read this. You will feel All The Feelings, but primarily the joy that comes from reading a truly incredible book. Read it? Give me a yell with your thoughts and then tell me what books you can't put down at the moment. Happy reading! 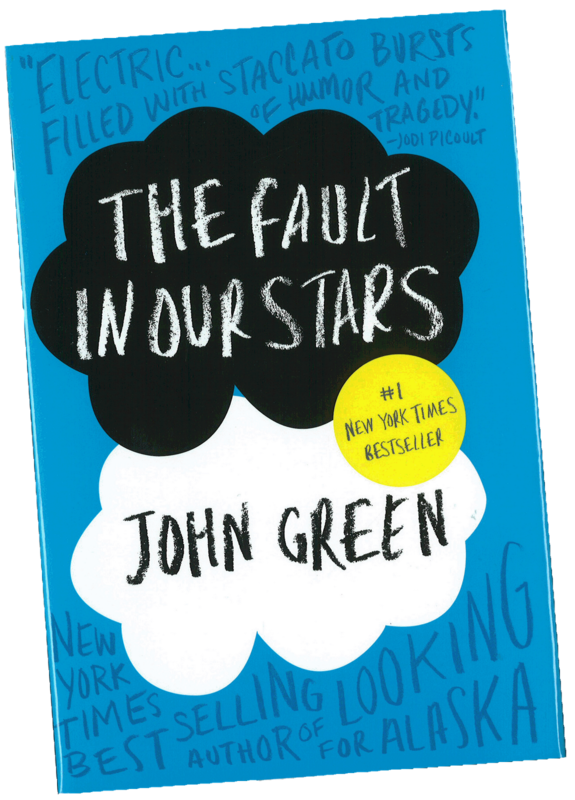 I LOVE The Fault In Our Stars (and Wonder, for that matter). One of the great joys of my job (secondary English teacher) is that I can read YA fiction for work. I love recommending books to kids and having them come back, clutching copies to their chest, telling me they loved it. This happens often with John Green novels. 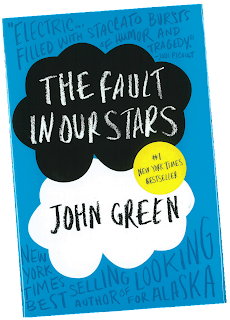 I haven't read The Fault In Our Stars, but now I will have to check it out. I love YA fiction... I always feel kind of weird checking those books out but they're usually so beautiful. This is what happened with the Book Thief for me. I was recently recommended Code Name Verity, which is YA and was brilliant - I didn't want to put it down! The same author has recently published a new book, Rose Under Fire, which I read in a day. Recently I've also read and loved Where'd You Go Bernadette? and Instructions for a Heatwave, read both of them really quickly. I started Gone Girl, but couldn't get into it at all and actually gave up, which I wasn't expecting! It just didn't make me care and I couldn't find the will to keep going. Which worked out well for me, as Code Name Verity was next on my list! I've been meaning to read CNV for MONTHS - glad to hear it's so brilliant! I must get off my arse and actually get hold of it now. With you on Gone Girl Ruth. I started it and entirely failed to be grabbed. I might have another try at some point but, meh. @Juliane Do, it's so brilliant! @jb Oh that is EXCELLENT. I dove straight into Looking For Alaska and An Abundance of Katherines (for obvious reasons) after TFIOS, he is such a great writer. What else have you recommended recently?